Erin was part of the first graduating class of NODIP in 2008-09, completing her internship in Sault Ste. Marie. Prior to that she obtained her degree from the University of Guelph in 2007. Originally from Thunder Bay, she has been working at the North Bay Parry Sound District Health Unit for the past 10 years. Erin’s portfolio focuses on advocacy work related to food insecurity and the cost of healthy eating, as well as supporting a wide range of community food initiatives related to creating a healthy, sustainable food system. 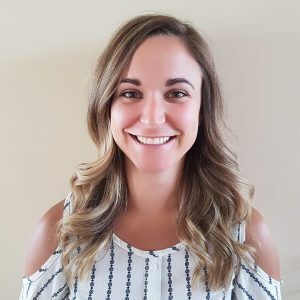 Julie Stachiw is a Registered Dietitian (RD) who graduated from the University of Guelph with a Bachelor of Applied Science in 2011, at which point she undertook a dietetic internship with the Northern Ontario Dietetic Internship Program. She obtained her Master of Public Health degree at Lakehead University in 2017. Julie has worked in a variety of RD roles all across the continuum of care; from community care to food service, acute clinical care to home care, and research to public health. 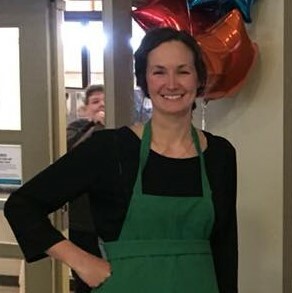 Julie has been a NODIP Site Coordinator for Thunder Bay and has preceptored over 30 dietetic interns and nutrition students within food service, program management, clinical, and research placements. With diverse involvement in community, regional, provincial, and national initiatives, she has developed a passion for volunteer opportunities, and has a keen interest in quality improvement research projects and consulting. In 2017, she stepped outside of health care and took on a program management role which focused on evolving the provincial school food and nutrition environment for Manitoba. 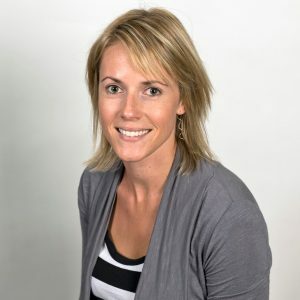 With this fresh, systems-focused lens, along with her health care related education and experience, she joined the Northwest Health Alliance in May 2018 to assist with a regional team roll-out of a provincial initiative. 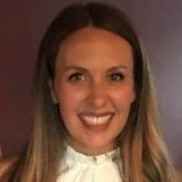 Julie continues to support NODIP, this coming year (2018-19) she will be an intern project advisor looking into RD training needs related to preceptoring dietetic interns for the program. Jessica grew up in Kenora Ontario. She completed a Diploma of Social Work at Mount Royal College followed by a Bachelor of Human Nutritional Sciences and a Master of Science from the University of Manitoba. Her masters’ thesis focused on qualitative evaluation of Manitoba school nutrition policy. 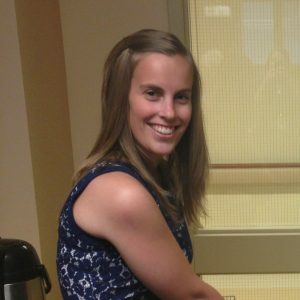 Jessica returned to Northwestern Ontario in 2012 to complete a dietetic internship with NODIP. After completing her internship, she joined the Manitoba Ministry of Health, Seniors and Active Living to develop and implement a retail subsidy program for remote Manitoba communities that do not have road access. 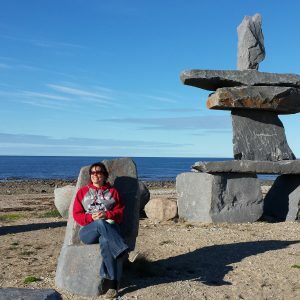 The experience she gained from her time in NODIP was integral to her success in this position, which required her to visit and engage with remote Manitoba communities. In 2016, Jessica was appointed to the position of Nutrition Policy Analyst for the Province of Manitoba. In this position, she develops and evaluates contract deliverables for various nutrition programs; consults with stakeholders to determine nutrition priorities; manages budgets and oversees funding; prepares Ministerial correspondence; analyzes and interprets nutrition evidence and develops provincial policy. As part of her role, she is the provincial representative on the Federal/Provincial/ Territorial Group on Nutrition, which advises Health Canada on the development of Federal Nutrition Initiatives such as Canada’s Food Guide, package labelling, and food fortification. Gill completed her BASc in Applied Human Nutrition at the University of Guelph and then went on to complete NODIP. Gill began her career as an RD working in her hometown of Sault Ste. Marie in Outpatient Nutrition Counselling and at the Diabetes Education Centre. During this time, she recognized her true passion for pediatrics and worked with management and local pediatricians on a proposal to address the lack of services available locally. Since then, she has worked as the local Community Pediatric Dietitian and provides care for children across the health care system, including neonatal intensive care, inpatient pediatrics, outpatient counselling and feeding clinics, home care and pediatric diabetes. Gill recently completed her Masters of Health Management at McMaster University and was presented with the Professional Achievement Award for her graduating class in recognition of her career achievements that made a significant contribution to the area of healthcare management. Gill supports NODIP as a preceptor, workshop facilitator and a research advisor. She is currently advising phase 2 of a research project in the development and evaluation of a nutrition toolkit for Autism Spectrum Disorder. Phase 1 of this project was accepted as a poster presentation at the Dietitians of Canada Annual Conference (2018) and the Northern Health Research Conference (2018). 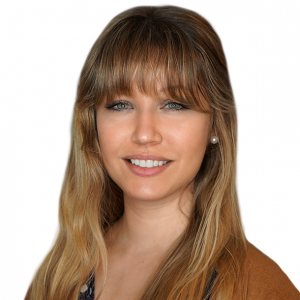 Originally from Ottawa, Jessica completed her undergraduate degree from Brescia in 2012. Jessica had been living in North Bay for 10 years and planned to stay in the north, before she applied to NODIP. She completed her internship, based out of Sudbury, in 2012-2013. Jessica is currently working at the North Bay Parry Sound District Health Unit as a public health dietitian with a focus on chronic disease prevention in adults. Part of her portfolio that she is very passionate about is prevention of Type 2 Diabetes Mellitus in the Indigenous population. This leads her to many First Nation communities in the Nipissing and Parry Sound districts to work with amazing staff in Friendship Centres, Healing Centres and Health Centres, where she is often the one doing the learning. After growing up in Barrie, Lesley completed her Bachelors of Applied Science in Human Nutrition at the University of Guelph in 2012. Beyond graduation, NODIP was the perfect fit for Lesley as she was looking for an internship program that would push her outside of her comfort zone to develop skills and confidence working in diverse practice areas. Since completing NODIP in the 2012-2013 year, Lesley has worked as a Registered Dietitian at Health Sciences North (HSN) in Sudbury. Today, Lesley works as part of an interdisciplinary team providing client-centred nutrition care in the Cardiothoracic Intensive Care Unit and on an inpatient Oncology, Palliative and General Medicine Floor. Lesley also works with HSN’s Virtual Critical Care Team which provides remote consultation to critical care patients in hospitals across North Eastern Ontario via the Ontario Telehealth Network. Before finding her niche in acute care, Lesley worked at the Diabetes Education Centre and at the Regional Bariatric Assessment and Treatment Centre and became a Certified Diabetes Educator in 2014. Throughout her career, Lesley has maintained an active role with NODIP participating in orientation week and preceptoring dietetic interns each year. In 2016, Lesley was the recipient of the NOSM award for “Innovative Preceptor” after being nominated by one of her interns. Kiera completed her BSc in Nutrition and Dietetics at Brescia University College-Western University in 2015. After completing her undergrad she returned north when she was accepted into NODIP in 2015-2016. During her internship she completed placements in communities such as North Bay, Fort Frances and Timmins. Coming from a small northern community, she decided to stay in a rural setting when she accepted her first position as a Registered Dietitian in Manitouwadge, ON. As a dietitian in a small community she works in a variety of areas including hospital acute care, Long Term Care, Public Health, Family Health Team and community work. In the summer of 2018, she completed her Certification as a Diabetes Educator (CDE) after being the community’s diabetes lead for a year since Manitouwadge was without a diabetes educator. This past year she also helped implement a Metabolic Syndrome program with a physiotherapist. Some of her other projects include a community program using hydroponic and greenhouse gardening to teach food skills throughout the lifespan; cooking classes for seniors as well as children and adults; and, wellness workshops for workplaces. 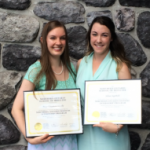 Originally from Arnprior, Paige completed her BASc in Applied Human Nutrition from the University of Guelph in 2014. She enjoyed the small town atmosphere and felt that NODIP was the perfect fit for her. Since completing NODIP in 2015-2016, Paige is currently working as the RD at Misiway Milopemahtesewin Community Health Centre in Timmins, as a part of the Diabetes Education Program. Here she has been able to use her passion for nutrition to help Indigenous peoples prevent and manage type 2 diabetes. Jill was born and raised in the beautiful city of Sault Ste Marie. Like Paige, she also graduated with a BASc in Applied Human Nutrition from the University of Guelph and completed NODIP in 2015-2016. Jill is fortunate to have had the opportunity to work in a variety of dietetic practice settings. Her first RD job was a casual position in long-term care, which was followed by working just over a year in public health. Jill is currently working as a Clinical RD in the Algoma District Cancer Program at Sault Area Hospital. During internship, Jill and Paige were provided with the opportunity to take part in an exciting research project. This research looked at Indigenous cultural competency in dietetics through conducting an online survey with RDs. Most respondents believed that all dietitians and graduating dietetic interns should be minimally competent in Indigenous health and culture. The results of this project have been used to inform dietitians working with Indigenous peoples and the refinement of NODIP intern and preceptor tools, with the potential to integrate across Canadian dietetic internship programs. This research has since been published in the Canadian Journal of Dietetic Practice and Research, where Jill was the recipient of the 2017 Morgan Award for the Quebec and Northeast Ontario Region from the Canadian Foundation for Dietetic Research. Jill was also honoured to receive the Strive Young Professionals Algoma Visionary Award for Industry Leader for Health and Wellness in January 2018. Michelle is a RD who grew up an hour north of Sudbury, surrounded by beautiful nature on Windy Lake. 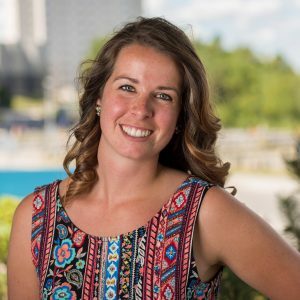 Michelle graduated from Laurentian University in 2014 with a Bachelor of Science specializing in biomedical biology. To further her education, Michelle pursued a Bachelor of Applied Science at Ryerson University, graduating in 2017. At this time, Michelle had a strong interest in clinical nutrition and registered in the Northern Ontario Dietetic Internship Program (NODIP) graduating in 2018. Throughout the program her interests evolved and she gained a true appreciation for all nutrition practice settings. An impactful moment that she recalls was during her food service and management rotation at Muskoka Algonquin Health Care. It was at this time that Michelle had the opportunity to participate in an in-service conducted by a Nestlé Health Science representative who was also a RD. This career path peaked Michelle’s interest, as it would allow her to apply her learnings in a unique way, while at the same time influence patient outcomes within all health care settings. When a position became available in Northern Ontario, Michelle was inspired to explore this opportunity further. In August 2018, she was pleased to accept the position of Territory Manager for Nestlé Health Science in Northern Ontario. This career as a Sales Representative allows Michelle to apply many aspects of nutritional best practices that she learned throughout her dietetic internship from research, clinical practice, management, and public relations. Michelle supports patient outcomes by being both a resource and information provider for clinical RDs as well as many other health care professionals across multiple care settings throughout Northern Ontario.